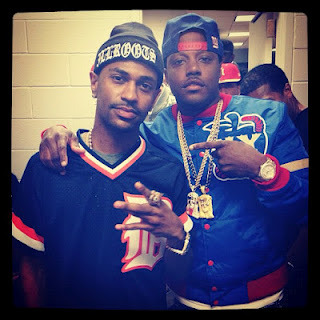 Mase Signing With G.O.O.D Music? Former Bad Boy artist turned Pastor Mason Betha may be next to join Kanye West, Pusha T, Big Sean and Teyana Taylor over at G.O.O.D Music. The Summer Jam performer tweeted “WOW… I just got a G.O.O.D offer!! !” leading us to believe that he is the latest addition to Yeezy’s roster! Mase quickly deleted the tweet but not before our folks over at Rhymes With Switch were able to take a screen shot! This entry was posted in Gossip and tagged artist, bad boy, Big Sean, Diddy, G.O.O.D music, Kanye West, label, mase, Puffy, roster, signed, Teyana Taylor, Tweet. Bookmark the permalink.